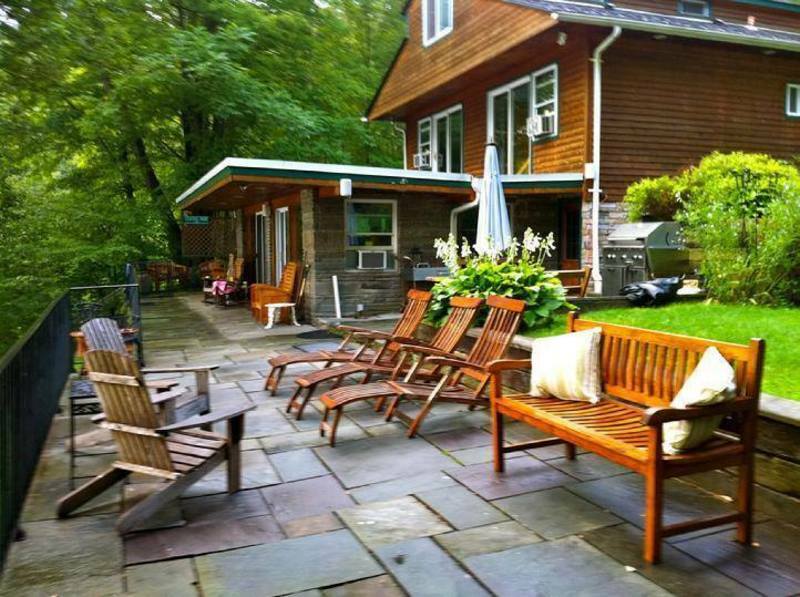 Private, four-season lakefront cottage available for rent. This very special vacation rental home sleeps up to eight guests, in this 4 bed/2 bath cottage, with stunning panoramic view throughout. Guests enjoy swimming, fishing, rowing, or simply lounging by our small & private, non-motorized lake. Conveniently located just two miles outside the town of Jeffersonville, and just 7.5 miles from Bethel Woods.